Auschwitz was the main reason I visited Krakow the first time, ten years ago. I had studied so much about the Second World War and the horrors of the Holocaust, I felt I needed to see this place with my own eyes. Visiting it was really hard. I first went to Auschwitz I, which was an concentration camp not an extermination camp. That means although deaths occurred in this camp, extermination wasn’t its main purpose. Today this camp is a museum, the barracks where the victims of the Holocaust briefly lived in are now filled by stories about what happened in this place. My visit wasn’t guided so I had time to read everything at my own pace. Many of the things you see and stories you learn are shocking, but it is definitely a learning experience. Now, the visit to Auschwitz II – Birkenau, the extermination camp, was even harder. I was visiting Krakow in winter so, although it was 3pm, it was dark, gloomy as well as drizzling. The site was mostly untouched in the sense that it hadn’t been converted to a museum like Auschwitz I. The barrack rooms were empty, but didn’t seem to have been refurbished. The day I visited, there was no sign of staff and barely any humans around. I thought about how cold it was even when I was wearing many layers and a full body jacket. I thought about how many people would have arrived by train via the rail that went right inside the establishment, directly to their death. After all, it’s estimated 1.1 to 1.3 million people died in Auschwitz. My second visit to Auschwitz was different. It was in summer, the sun was shining, it was full of people and this time my visit was guided and hence quicker. Nevertheless, it was still hard. Good weather can’t hide what happened on this place. You can get to Auschwitz from Krakow by bus, train or via a tour. The easiest and most hassle free way is by a tour which includes transport and tickets. Once in Auschwitz, you can do a guided tour or a self-guided one in case you prefer to visit the site at your own pace. 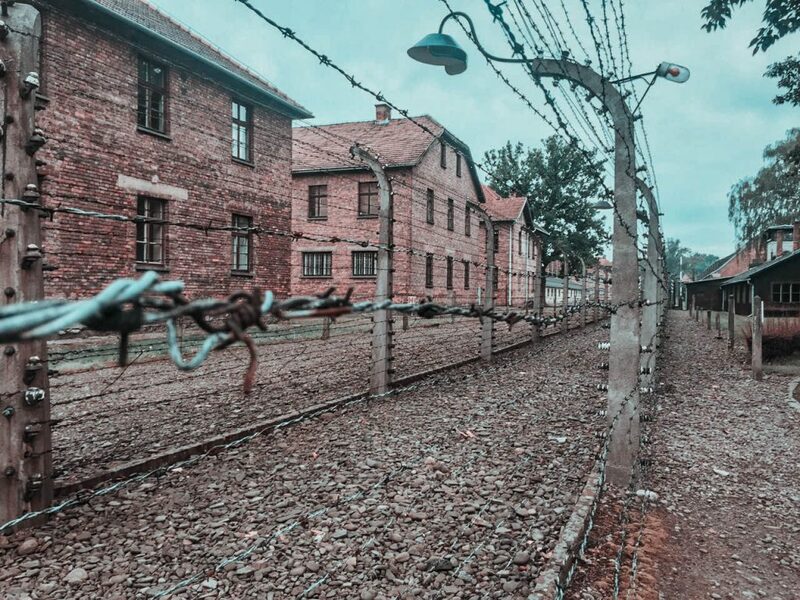 If you’d rather do the trip by yourself to ensure you have unlimited time on the site you can do so by bus or train, but none of the options are great, the bus is crowded and bumpy and the train leaves you 2km away from Auschwitz. Between bus or train, I’d choose the bus which leaves from the MDS Bus Station right besides Krakow’s Central Station. Upon planning my second visit to Krakow, I was recommended the salt mines by a Polish friend and the first thing I thought was: tourist trap. But as she insisted, I gave it a try. And she was right. The salt mines were amazing, definitely one of the best things to do in Krakow. All visits to the mines are guided, and the level of organisation they have is almost equivalent to a US theme park. The guide I had was excellent, never have I seen someone so passionate about their job. And I can see the reason why. The mines are beyond huge, and boy are they are fun. They are filled with sculptures done by the miners themselves which is almost unbelievable, including a not-small-at-all chapel where everything is made of salt including the chandeliers! It is like a whole new world down there. Book your skip the line tickets here, I queued for around 50 minutes because of not having them in advance. Krakow’s Kazimierz used to be were Polish Jews and Polish Catholics coexisted for centuries. Jews, who had been expelled from countries all around Europe, found their home in Poland. Here, they grew rapidly and lived in peace, making Kazimierz one of the most important sites in the Jewish worlds. Unfortunately on the Second World War, Jews were moved into a ghetto, and many were killed or fled to other countries. Today, there are very few Jews in Kazimierz, however their culture is still embedded in the area in the restaurants, synagogues, and in monuments made to them after the war terror. The biggest Jewish Festival in the world also takes place here. 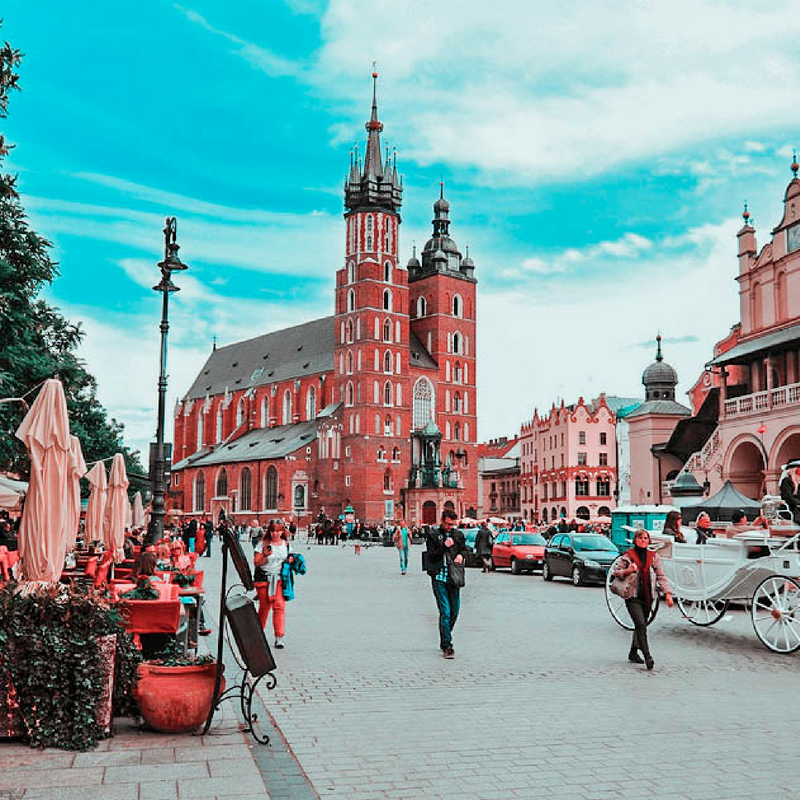 You must visit Kazimierz with a tour to make sense of it, and luckily there is a free walking tour offered for Jewish Krakow which covers Kazimierz, the ghetto and also Oskar Schindler’s factory. The Plac Nowy, one of Krakow’s squares, has something you can’t miss. 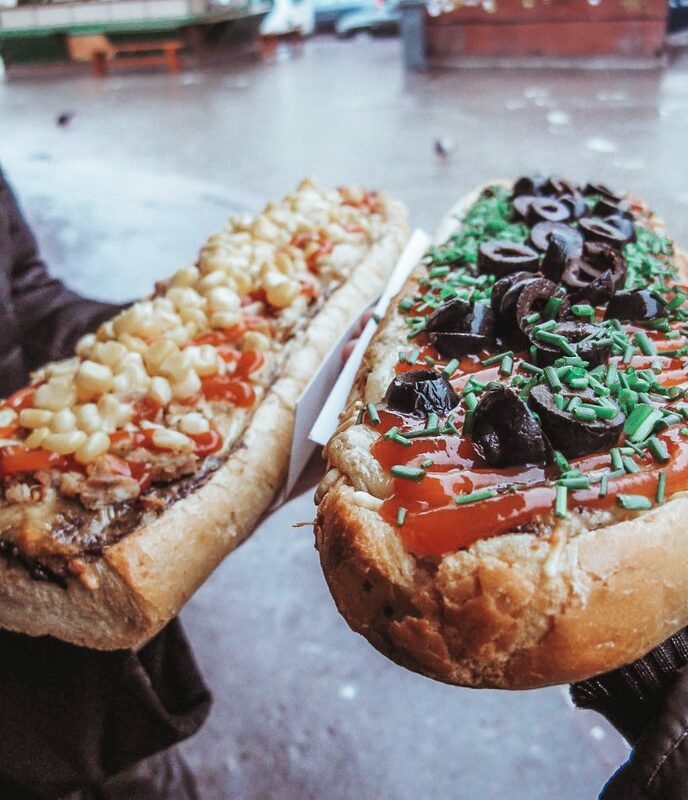 Zapiekanki! It is like a pizza but made from half a baguette, it’s delicious and it’s cheap. There are many toppings to choose from. It’s on Kazimierz so make sure to save time for them while you are visiting the neighborhood, you won’t regret it. I would have them everyday! Oskar Schindler is known for saving 1200 Jews during the war, by employing them in his factories. His Enamel Factory in Krakow is now a museum. Learn his incredible story in the museum, you can book a guided tour with skip the line tickets here. Fellow vegans visiting Krakow, try vegan pierogis at Glonojad. Pierogis are my favorite Polish food, unfortunately they are not vegan so I’m glad I found this place. For the non vegans, try schabowy, a pork breaded cutlet in beer batter in Milkbar Tomasza, they do cheap and local Polish food. Also try placki po zbojnicku, potato pancakes with boar goulash, in Balaton. Kuchnia u Doroty was also recommended to me by locals and it has excellent reviews. This mound not only looks very interesting but also provides beautiful panoramic views. It is a little bit of a climb to the top, but nothing terrible and also it’s worth it. You can get there by tram or bus from Krakow’s center. If you are looking for something non touristy to do in Krakow, this is it. 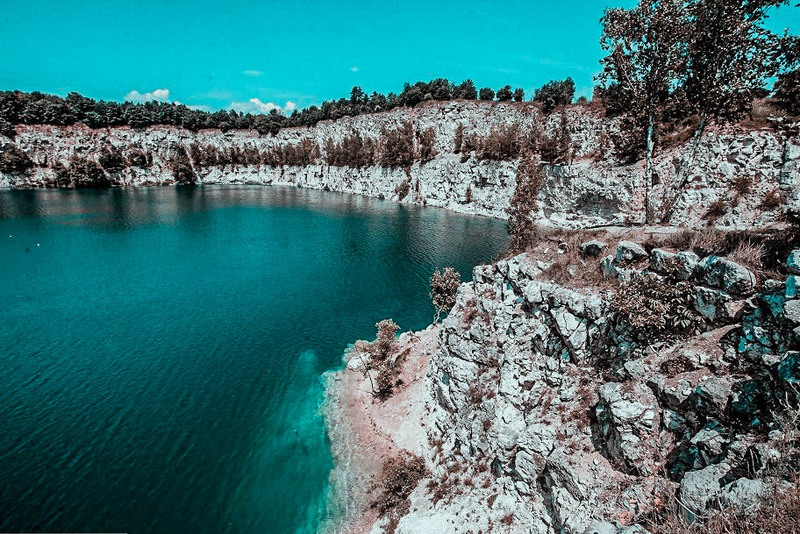 This lake used to be and mining quarry and now it’s irresistible blue waters are a nice place to go swimming, and it’s also a great place to go for a hike. Apparently it is also possible to scuba dive here as there are many sunken things(cars, buses) to check out but I couldn’t find the diving school that takes you here. To get to Zakrzówek, the nearest transport stops are ‘Kapelanka’ and ‘Norymberska;’ and you can take tram 18 or bus 194 to get there. You can also cycle or take a taxi as it’s not far from Krakow’s center. If you read my posts or follow me on Instagram you know I love cats and therefore cat cafes! If you need some kitty love and are craving something sweet visit Kocia Kawiarnia Kociarnia. Don’t expect to have lunch here because there is nothing savory. 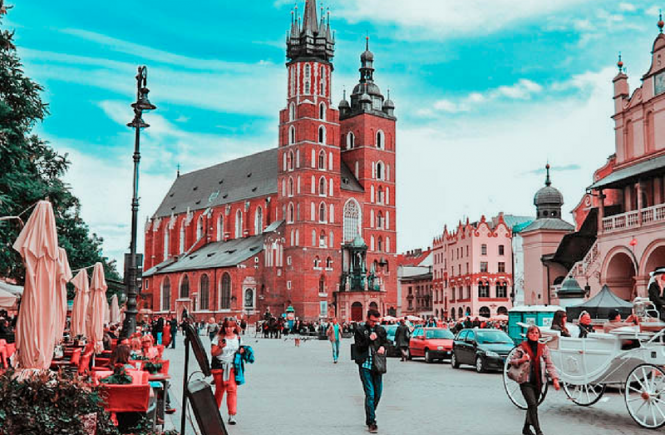 Within Europe, low cost flights will take you to Krakow very, very cheaply. 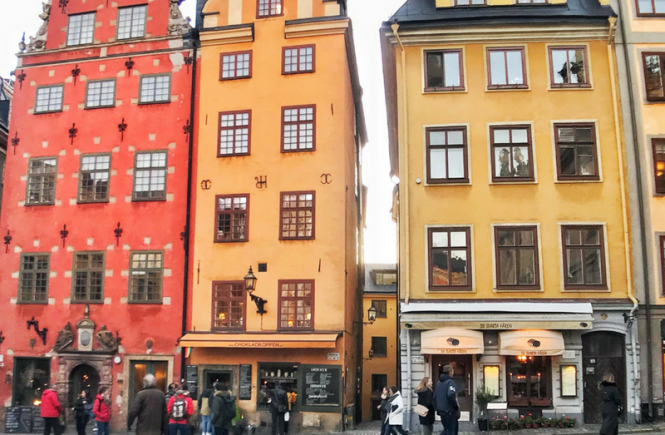 To get the cheapest prices try Momondo and Skyscanner. Depending where you are, it might make sense to take a train in terms of time and money. For example I booked an overnight train from Warsaw to Krakow using RailEurope, and then one from Krakow to Prague. If you are traveling as a backpacker and have time, then use GoEuro as it will search for flights, trains and also buses. I stayed in this hotel, which I particularly choose because we were three people, and three people rooms are not that easy to find. This was not a hotel per se but more apartments, and it worked wonderfully, it was cheap and also really well located. Because Poland is so cheap, though, if you are not in a tight budget you might prefer upgrade a bit. You can get a really nice hotel for the same price of a basic hotel in western European countries. So treat yourself! I’ve pre-filtered the best hotels in Krakow here. Are you planning on visiting Gdansk as well? You should! Read about Gdansk here. Goodness. The story of the Jewish people is so heartbreaking. Especially as so many people has displaced from other countries to make their homes in Poland to start with. I can totally see why the concentration camps are hard (but necessary) to visit. On the other side, your photos of Krakow are gorgeous and the food (especially Zapiekanki) sounds delicious! I hope we can visit there at some point! Never really thought to visit poland but this is an interesting read and theres a lot to do it seems. The visit to the concentration camps must be pretty hard but so interesting to see it n person i would imagine. I never knew about the salt mines, though I’ve known about Krakow and its vicinity, though haven’t gotten around to visiting it yet. 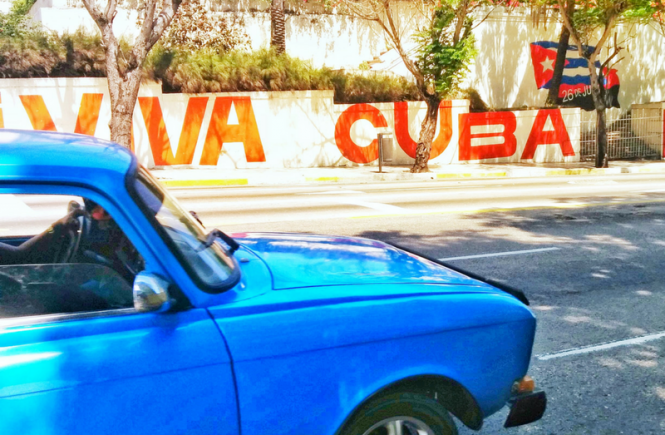 It’s on my list of places to visit soon. I’d love to visit Poland! I skipped it on my last Euro trip and everything I’ve heard about it since then has filled me with regret. I’m obsessed with pierogis and am a vegetarian, so I’d definitely love to go to Glonojad to get some like you recommended. Thanks for the advice, I can’t wait to visit Krakow now! Omg god no Carly! That just sounds terrible. I’m so sorry!!! That’s some bad luck. 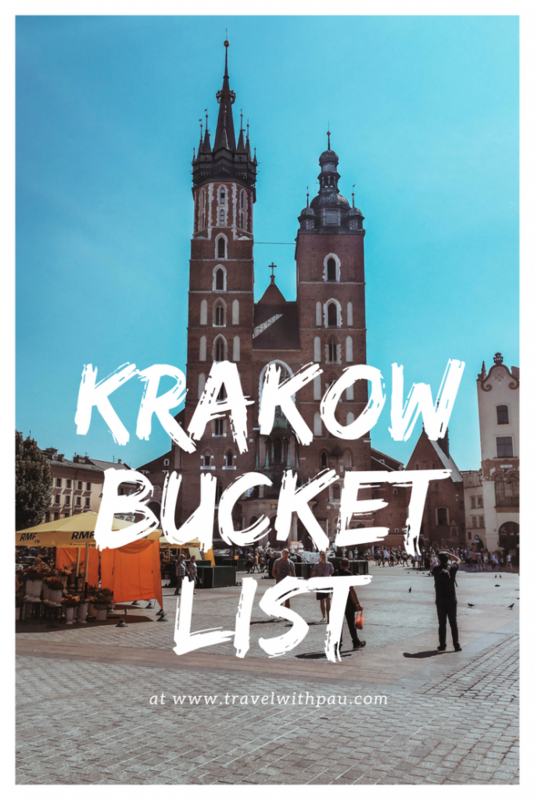 Krakow is on the cards for 2019 and so it was a great time to read this post. I was also worried about the salt mine being a tourist trap but if you say it is worth it, then we shall give it a go. 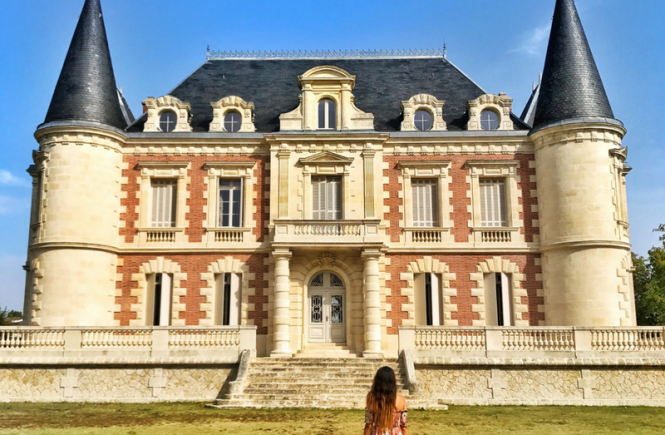 I also love starting city breaks with a walking tour to orientate myself and decided what is worth a second visit. Great tips! Thanks for this! I’m planning a trip to Poland next year. Perfect timing!! I went to Krakow last year and loved it! I especially love Old Town. I also enjoyed the salt mine outside of Krakow. I’m jealous you got to do a lot more than I did. Thanks for sharing this! Poland is not one of Europe’s hottest destinations, but it is a very important one for its involvement in history. I cannot imagine what it must have been like to visit the concentration/ extermination camps. I would like to see them one day for their importance, although it would not be a visit I think I would “enjoy”. 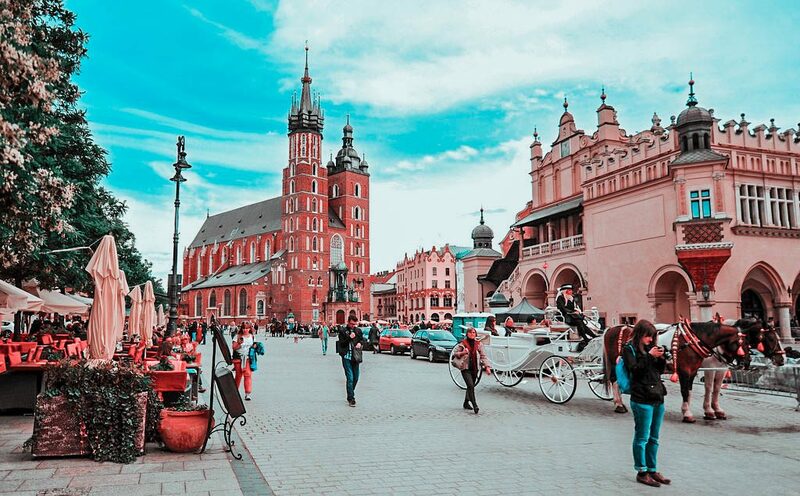 Poland 🇵🇱 looks chilled, quiet with lots of cute surprises that only await to be exploreda and discovered. I love the photos. I have read read a lot about Krakow and in due time, I will be happy to explore.